A while back I received a multicooker from a company called Redmond to review. I hadn’t heard of a multicooker before and wanted to give one a try. I chose their RMC-M4502E model. It’s quite a snazzy item to have in your kitchen and looks like Daft Punk have left one of their helmets on your countertop! 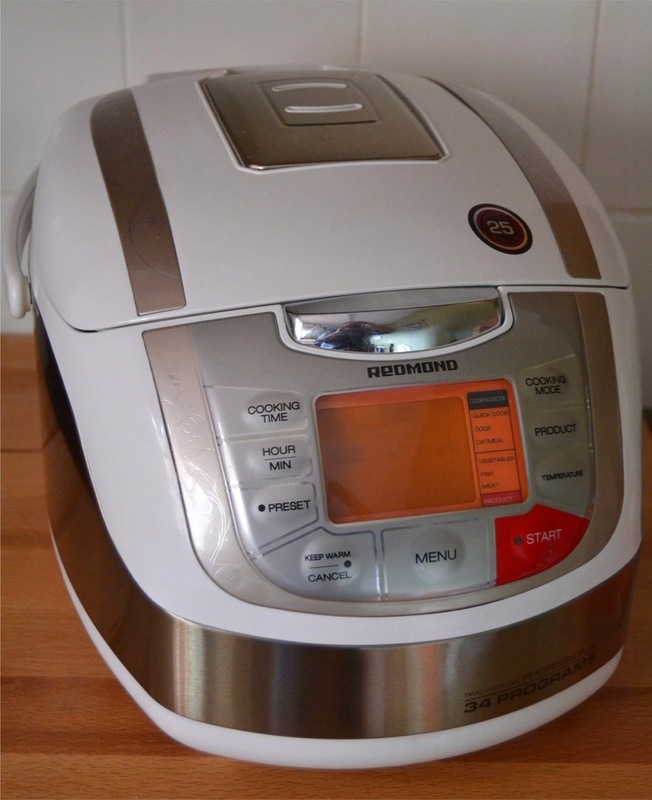 The multicooker has many functions and can steam, fry, cook pasta, stew, porridge, make soup even bake in the machine. There are 16 automatic functions and 18 manual programs. You can also prove bread in the machine, make baby food, sterilise items and make yoghurt! What can’t it do? I decided to try frying in mine as I don’t have a fryer in my kitchen. Now, the instructions say it can fry vegetables, fish and meat but I wanted to try something different – churros! I’ve always wanted to try making the little fried nuggets dusted in cinnamon sugar and now was my chance. I set up my multicooker and flicked through the instructions. It is going to take some time to understand everything that the machine can do, but I opted for an automatic fry function for 10 minutes. I wasn’t sure how long it was going to take and I could easily increase the time if I needed. I prepped by churros dough and placed it in a piping bag fitted with a star tip nozzle. I then poured some vegetable oil into the removable bowl which has clear markings so you know exactly how much you are using. I set the multicooker to fry and the oil heated. I tested a little piece of the dough first to see if it was hot enough and it was. I piped little dollops of the churros dough (about 1.5" long) into the bowl and watched as they fried away. They first sank and then rose to the top as they were almost ready. This took no time at all, just a few minutes. I only added about 5 at a time as I didn’t want to crowd the bowl and bring the temperature down. In a bowl mix together the boiled water, melted butter and vanilla. Set aside. Sift together the flour and baking powder in a separate bowl. Add the water/oil mix and combine until you get a dough which is thick but of dropping consistency. You may not need all of the water. Transfer the dough to a piping bag fitted with a large star tip and set aside. Add the oil to the multicooker (or deep fat fryer) and bring up to heat. When a small pieces of the dough sizzles when placed in the oil it is ready to fry. Pipe little nuggets of churros dough into the hot oil, snipping with scissors as you go. Don’t make too many at once as the temperature of the oil will decrease. When slightly browned, flip each churros over and cook until lightly golden. Transfer to a plate lined with kitchen paper to absorb excess oil. Mix the caster sugar and cinnamon together and roll each warm churros in the mix, coating completely, tapping off any excess. Your churros are ready to enjoy! For frying I found the multicooker safe to use, the outside didn’t get overly hot and there was no lingering smell of fat which is a huge boon. Overall, the multicooker from Redmond is an interesting kitchen gadget and one I intend to try using for different uses too, like baking a cake and bread. 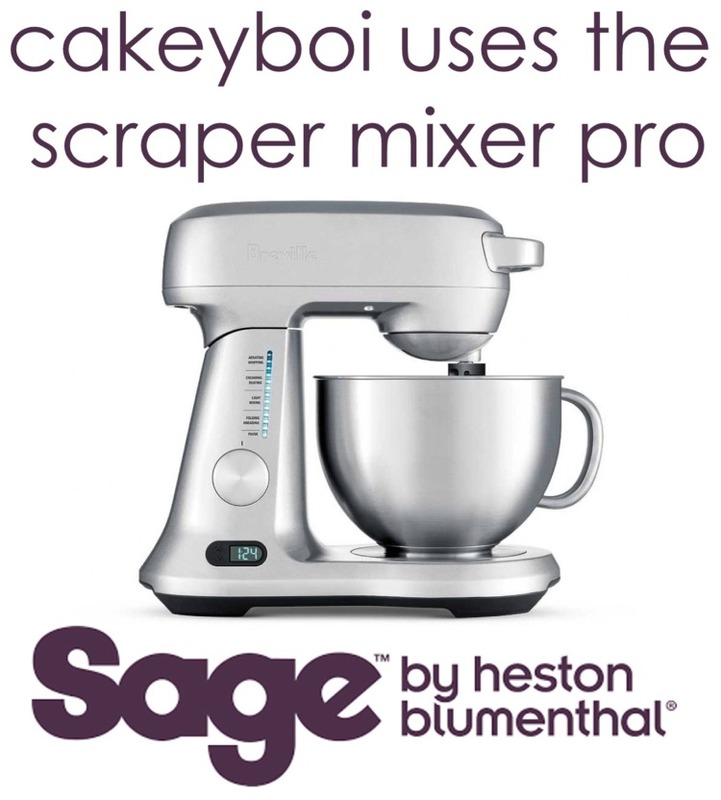 Disclosure Statement: I received the multicooker free to review and have been paid for creating this recipe. Any opinions expressed are my own. Mmmmm, churros... Mmmmm, deep fried... a lovely treat! Not the healthiest, but oh so tasty! Ooh, I love these. I was just the other day thinking about developing a churros recipe; if I do I'll be sure to link up! That Redmond cooker looks awesome too. So useful! It is Kevin - plan to use it for much more! Yes please!!! look scrummy - churros are my fave!! The Cake and Bake Show Celeb Line-up Revealed!